Richmond Wheel and Castor is an industry leader when it comes to smart storage solutions for businesses in NZ. 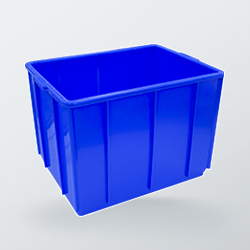 We supply an extensive range of high-quality plastic storage containers to suit a wide range of applications and industries – from light domestic to heavy-duty industrial use. All products in our range of plastic storage boxes have been designed to give users the ultimate in strength, durability, convenience and high performance – year after year. And with capacities of up to 68 litres and 30 kilograms, you can be assured that our plastic containers will take anything you throw at them. Regardless of if you’re looking for a storage box in Auckland or food grade plastic storage solutions in Wellington, it’s important for any well-run business in NZ to implement smart, safe storage practices. Whether you’re a warehouse, logistics, food manufacturing, medical business, or operating in a large-scale industrial environment, a well-organised storage system greatly increases the efficiency and productivity of your business. Storage bins are particularly handy for keeping together those little nuts, bolts, and other odds and ends that seem to disappear the moment you put them down. And of course, our huge plastic storage containers are just as helpful for a home handyperson – they’re perfect for organising your tool shed or home workshop. ORDERING PLASTIC CONTAINERS IN NZ HAS NEVER BEEN EASIER! For more information on our plastic bins, large plastic storage boxes, or any of our other solutions for indoors and outdoors, please don’t hesitate to get in touch with the Richmond Wheel and Castor Co team. Call us on 0800 61 71 81, send us an email, or complete an online enquiry form – available in the top right-hand corner of the page. We are always happy to give personalised advice and information based on your unique requirements. Alternatively, you can pay us a visit at our Auckland store, which carries the full range of our plastic products.